Let’s get straight to the point, this game is ridiculous. Have you checked The Apple App Store’s latest “featured games” lately? If your answer to this question is, “No” (Or you happen to be reading this review 5 years from now) chances are you’ve never heard of Fish Fist. 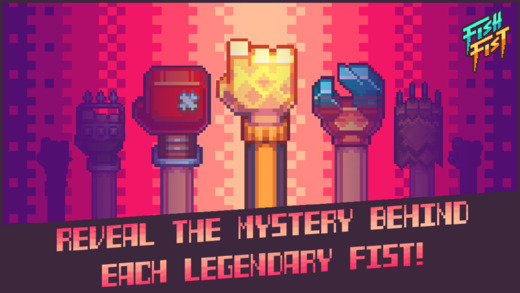 So what is Fish Fist? 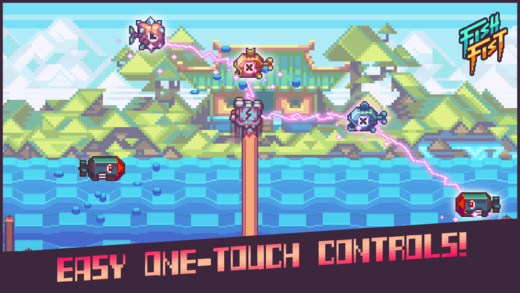 If you haven’t figured it out already, this game is a game about punching fish that jump from a lake or pond with your extremely long arm. Your arm will slowly move from one edge of your screen to another, and will extend (i.e. Punch) when you tap on the screen. Would you like a disposable game that will probably get you all the laughs you could ever want from your average game in around 30 minutes? …before it quickly becomes junk on your phone? 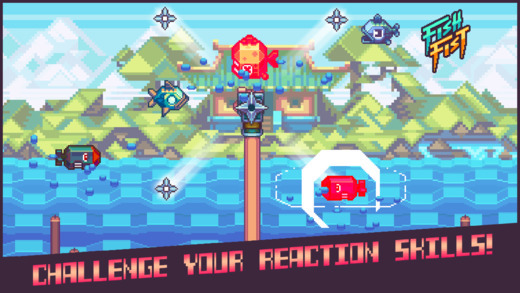 If so, Fish Fist is the most ridiculous and almost impossible to understand game we’ve seen in pretty much forever.